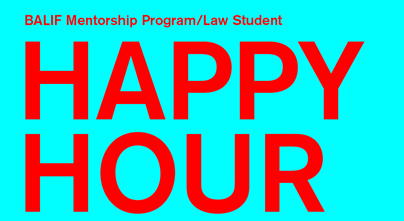 Calling all BALIF mentors, mentees, and law student members -- please join us for a happy hour on April 2. For law students, this will be a great opportunity to meet and mingle with LGBT attorneys and other law students before you leave for the summer. We'll also celebrate BALIF's mentors and mentees and honor Dennis Raglin, the 2015 BALIF Mentor of the Year. And of course, there will be free drinks and food. Hope to see you there!